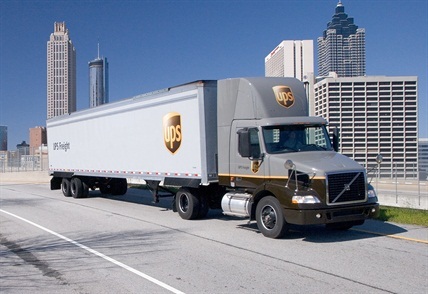 UPS is one of the leading shipping carriers in North America. Offering job security and room for growth, many new drivers head straight for this company when searching for employment. But does UPS offer a competitive salary? What about home time and benefits? There are many things to consider before diving in and applying for a job. UPS (United Parcel Service) first launched in 1907 as a messenger service. Two teenagers with a $100 loan started what would come to be the largest package delivery service in the world. Since opening its doors more than a hundred years ago, the company has grown to deliver 15 million packages per day to nearly eight million customers in over 200 countries. UPS offers 27 services and employs over 444,000 people. 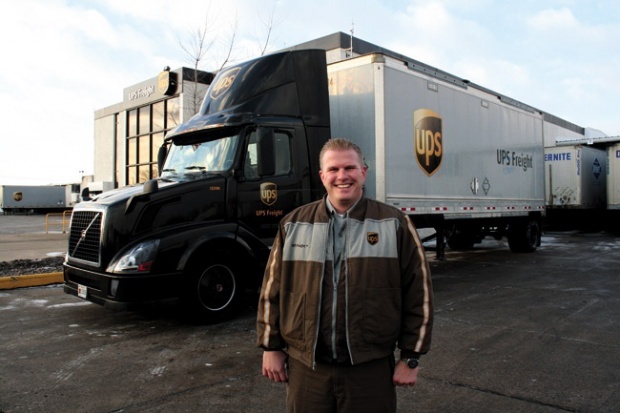 As the largest package delivery company in the world, there are numerous jobs available at the United Parcel Service. From UPS freight jobs to package delivery drivers, you’re sure to find a position that meets your skill level and needs. Drivers who work for this division may be offered a full-time, seasonal or temporary position. The position will require you to drive the tractor-trailer to one or several destinations, and return to the starting point in a single shift. Tractor-trailer drivers who work seasonally will work Monday through Friday, and will be required to meet UPS’ driver appearance standards. Work typically begins in the evening and ends the following morning. 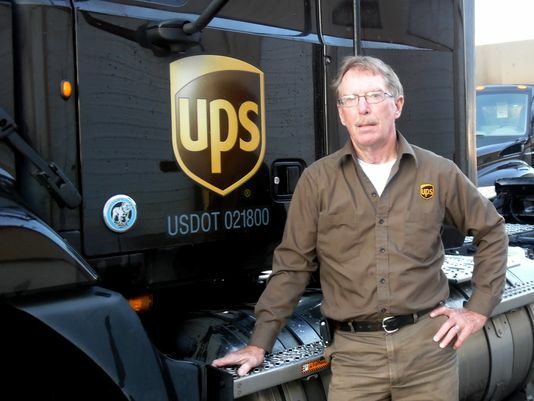 UPS freight drivers work full-time. Drivers will be required to drive a tractor-trailer for OTR freight delivery to at least two service centers before returning home. Some positions are also available for city freight drivers, which will require daily pickup and delivery from commercial and residential customers. UPS package delivery drivers must be able to handle a demanding, physical and fast-paced work environment. This outdoor position requires continual carrying, lifting and lowering of packages that weigh 25-35 pounds on average (some packages may weigh as much as 70 pounds). Package delivery drivers work weekdays and at least eight hours per day. How Much Do UPS Drivers Make? Some consider UPS to be one of the best trucking companies to work for simply because they offer consistent schedules, overtime during the holiday season and sufficient home time. But how much do drivers really make? What about package delivery drivers, OTR drivers or city freight drivers? Let’s compare the numbers from the top salary websites. As you can see, the salary ranges for delivery drivers (i.e. package delivery) varies greatly. Indeed has the most reported salaries, and $14.13 per hour is the most commonly reported figure. We poked around on forums with UPS drivers, and most report that the $14.13 figure is starting pay for seasonal workers. Senior package drivers earn around $28 an hour, and get plenty of overtime at a rate of around $42 an hour. When considering overtime pay, many report earning around the $70,000/year mark. Glassdoor’s figure appears to be in line with what senior drivers are paid (with overtime included), while Indeed’s figure is in line with starting salaries. All drivers receive a one-cent pay raise each year up until the tenth year of service. If you have at least five years of qualifying experience, you can may start at 5-year rate: $0.39/mile for domestic drivers, $0.38/mile for dedicated drivers and $0.42/mile for team drivers. When digging through forum posts, we found that most freight drivers say they bring in about $27 an hour. With overtime, many generate salaries of $90,000 – $100,000 per year. UPS says it pays tractor-trailer drivers $26 an hour, but we’ve seen many drivers reporting pay of $28 an hour. As for benefits, UPS offers a solid package of medical insurance, life insurance, retirement, and tuition assistance benefits. Their Earn and Learn Program is also offers a great opportunity for college students to get the education they desire while earning good money. Drivers get to work part-time for UPS, while the company provides up to $5,250 per year in assistance (maximum $25,000). For anyone thinking of attending college, this is a great incentive to work for UPS. For drivers looking for a solid company to work with, UPS may be a great option. The pay is competitive, drivers receive an adequate amount of downtime outside the holiday season, and the benefits are generous. If you have experience in the field, you stand a much better chance of being hired, but UPS is also known to take on rookie drivers.